These days, everyone can expect companies to release their latest products across the world for everyone to enjoy, but there was a time back in the days before the internet when we did not know of a console or handheld’s existence. Occasionally, there will be consoles and handheld devices released in one part of the world and never gets a chance to leave for new shores. One such example is the Wonderswan and Wonderswan Color. This handheld was only released in Japan. While some of its library was ported over to other systems such as the PlayStation and Game Boy Advance, much of its library remained stuck in The Land of the Rising Sun. For the first time ever, international players get the chance to experience two classic Wonderswan Color games in one package on Steam. 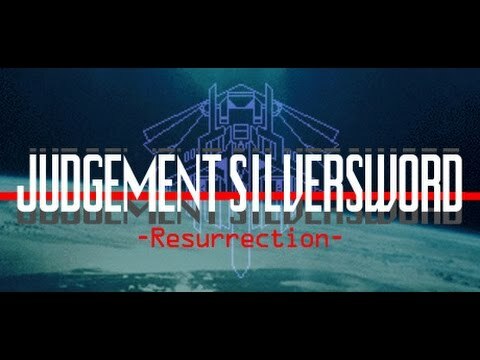 Judgement Silversword -Resurrection- introduces the world to two well regarded vertical space shooters, Judgement Silversword and Cardinal Sins. Save the world from judgement! Judgement Silversword is a vertical arcade style shooter. The game has players traversing different areas destroying enemies and dodging bullets. The ship only has one weapon, a spread shot that reaches across and the screen. When the ship is cornered into a bad situation, a front shield can be activated, but it cannot be used forever, as the shield goes down in size and strength when it absorbs bullets. When the shield is not being used, it recharges slowly to 100%. This gives the player freedom to form a strategy and learn enemy patterns. The game can be controlled with either a keyboard or the controller. My personal preference was to use the keyboard since I could one hand to shoot and activate the front shield and the other hand to maneuver the ship. The graphics are simplistic, which is a given since it was originally on the Wonderswan Color. I am impressed with the amount of detail Qute was able to put into the game as it looked to push the graphical limits of the Wonderswan at the time. There is only one theme that plays in the game and it will eventually get old fast. Anyone wanting a different tune should listen to his or her own music. Players can choose to play the game on easy, normal, or hard difficulties. The key is to destroy the enemies and get past areas quickly rather than taking your time. The faster the area can be cleared, the higher the overall score will be at the end. The first areas of the game start off easy, but as the game progresses, the enemies are faster and the patterns are harder to dodge. It’s a fun and quick pickup game when there is only a few minutes available for a quick game. Every Deadly Sin has a different timed objective. Cardinal Sins is the second game included in the package. While it has the same graphics, sounds, and controls as Judgement Silversword, the game plays differently as there are no game overs and the challenges are different. The goal is to beat the challenges of the seven deadly sins: Envy, Sloth, Greed, Pride, Lust, Gluttony, and Wrath. Each deadly sin offers a different challenge to complete. Most of the challenges do not involve defeating enemies. The objective can be to collect as many lives as possible, collect rewards, or gather data on enemies by shooting at them. The variety of challenges makes Cardinal Sins a welcoming fresh experience from Judgement Silversword. There are three modes to play in the game. Trial mode and Normal Mode has players going through all the areas until they reach the end. Marathon Mode has players play the game in an endless loop until they obtain a game over. Players can choose the level they want to start in. Every area is timed and when the area is complete, a grade ranking of S and A to F is given to the player based on how well the objective was met. Cardinal Sins is a nice complimentary game to play when Judgement Silversword is getting old or the player needs a break from it. Judgement Silversword -Resurrection- is a basic and simplistic package, but is well worth the price of $4.99. 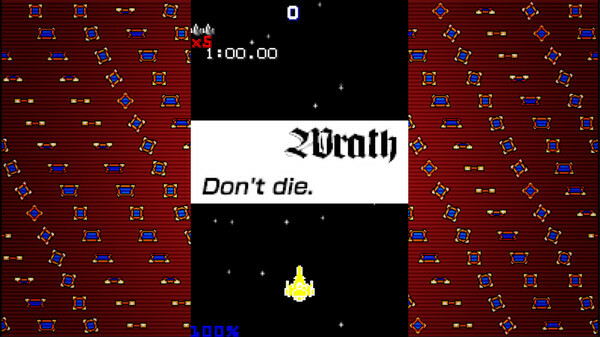 Both it and Cardinal Sins are simple shoot ’em ups to learn with a great difficulty curve. Both games are pretty short, clocking in at only 1 to 2 hours combined. They are both designed to be quick sessions and not for long periods of time. 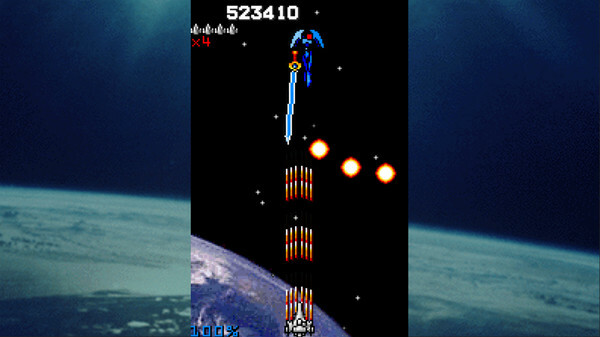 For those who enjoy retro vertical shoot ’em ups, you will easily enjoy Judgement Silversword and Cardinal Sins.